Peg Alford Pursell is the author of Show Her a Flower, A Bird, A Shadow (Elj Editions, 2017), a collection of fiction and hybrid prose. Her fiction and poetry has appeared in many journals and anthologies, including The Cortland Review, The Journal of Compressed Creative Arts, Joyland Magazine, and others. 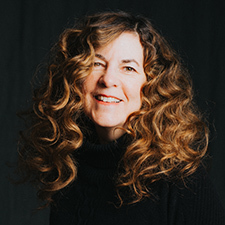 She is the founder and director of Why There Are Words, a neighborhood of national readings series, and of WTAW Press, an independent publisher of exceptional literary books. Born in the United Kingdom to Muslim parents of Indian, Iranian and Egyptian descent, Ali received a BA and MA from University of Albany-SUNY and an MFA from New York University. His books include Sky Ward, winner of the Ohioana Book Award in Poetry; The Far Mosque, winner of Alice James Books’ New England/New York Award; The Fortieth Day; All One’s Blue; and the cross-genre text Bright Felon. A new book of poems, Inquisition, and a new hybrid memoir, Silver Road: Essays, Maps & Calligraphies, will both be released in 2018. Novels include the recently published The Secret Room: A String Quartet, and among his books of essays is Fasting for Ramadan: Notes from a Spiritual Practice. 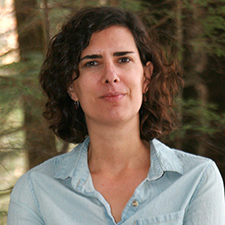 Ali is associate professor of Creative Writing and Comparative Literature at Oberlin College. Author of You Can’t Catch Death (St. Martin’s Press), which has been translated into Swedish, German, and Russian, and recorded by Audible Books, Brautigan writes for the PBS television series Joanne Weir, Plates and Places. 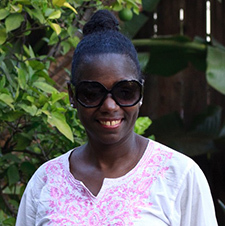 She has written for online food website Simple Feast. Her work has been published in Confrontation, The Antioch Review, and other publications. She has appeared at the Dinefwr Literature Festival with Gruff Rhys, Joe Dunthorne & The Brautigan Book Club in Wales, and was invited to speak on Writers and Zeitgeist of the 1960s with LitQuake at UC Berkeley. Brautigan holds an MFA in Creative Writing from San Francisco State University and teaches at Sonoma State University in the Hutchins School of Liberal Studies. Awarded the 2017 Shelley Memorial Award from the Poetry Society of America, Conoley is the author of eight collections of poetry. PEACE was named an Academy of American Poets Standout Book for 2014 and a finalist for the Los Angeles Times Book Prize. Other books include The Plot Genie, Profane Halo, Lovers in the Used World, and Tall Stranger, a finalist for the National Book Critics Circle Award. Conoley’s translations of Henri Michaux, Thousand Times Broken, appeared with City Lights in 2014. Her Selected Poems are forthcoming with Nightboat in 2019. 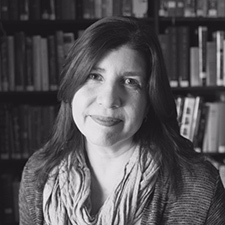 Conoley is Poet-in-Residence and Professor of English at Sonoma State University, where she edits Volt magazine and co-edits Volt Books. 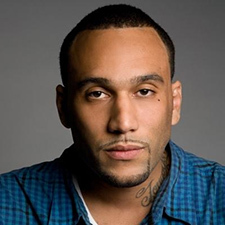 Nominated for a California Book Award, Tongo Eisen-Martin is the author of someone’s dead already, and Heaven is All Goodbyes, just published in the City Lights Pocket Poets Series. 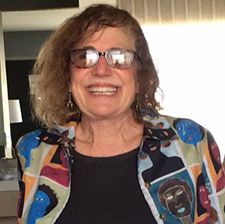 Anne Goldman's essays and short fictions have appeared in the Georgia Review, the Gettysburg Review, the Southwest Review, Tin House online, and elsewhere. Her writing has earned an award from the Magazine Association of the Southeast as well as special mention in the Pushcart Prize. 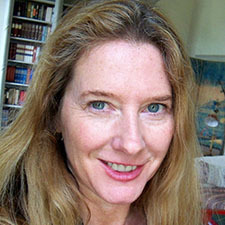 Anne’s work is frequently cited as “Notable” in collections of the Best American Essays, Best American Travel Writing and Best American Science and Nature Writing. She has published three scholarly books and a range of critical essays on nineteenth and twentieth-century American literature. She teaches American literature and creative writing at Sonoma State University. 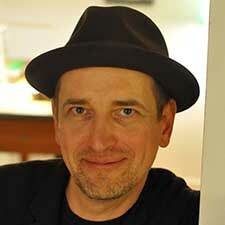 Stefan Kiesbye's essays and reviews have appeared in the Los Angeles Times, Wall Street Journal, and Publishers Weekly, among others. His first book, Next Door Lived a Girl, won the Low Fidelity Press Novella Award. The novel Your House Is on Fire, Your Children All Gone made Entertainment Weekly’s Must List and was named one of the best books of 2012 by Slate. The LA Noir Fluchtpunkt Los Angeles and the novel The Staked Plains appeared in 2015. On publication of his most recent book Knives, Forks, Scissors, Flames, German newspaper Die Welt called the author “the inventor of the modern German Gothic novel.” Kiesbye teaches creative writing at Sonoma State University. 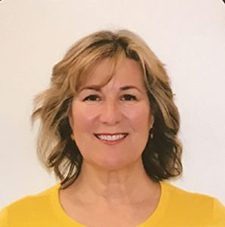 A native San Franciscan with a life-long involvement in the art and literary scenes, Maravelis programs the events calendar at City Lights Bookstore and is editor of San Francisco Noir and San Francisco Noir 2: The Classics. He produces the noir reading and performance series, Subterranean SF. Together with international and academic partners he has produced numerous festivals celebrating the European avant-garde. These include Dada World Fair, Carnival Pataphysique, Fantomas By The Bay, Haunted Reflections: Walter Benjamin in San Francisco, Subtle Channels: An Oulipo Laboratory, Trajectories of the Catastrophic: The Life and Work of Paul Virilio, and others. He’s been known to occasionally moonlight with private investigators. 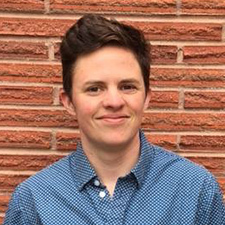 Finn Menzies is an out transgender teacher in Seattle. His work is his spiritual practice and his activism. He received his MFA from Mills College. He is the creator of FIN Zine, a bi-annual zine dedicated to his emotional journey throughout his transition. Finn’s debut collection, Brilliant Odyssey Don't Yearn came out this summer with Fog Machine. His poetry can also be seen in Gigantic Sequins, Quiet Lightning, Susan /the journal, Spork, Hold: a journal, The Shallow Ends, Big Lucks, and various other journals. Annually, Finn facilitates UNdoing Ego: a workshop on meditation and generative writing practices. 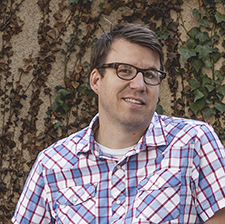 Kevin Moffett is the author of two story collections and a collaborative novel, The Silent History. 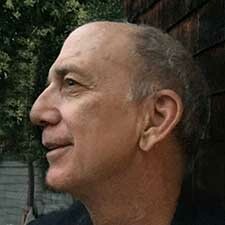 His stories and essays have appeared in McSweeney's, Tin House, American Short Fiction, The Believer, The Best American Short Stories and elsewhere. 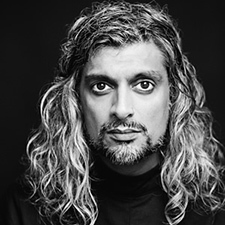 He has received the National Magazine Award, the Nelson Algren Award, the Pushcart Prize and a literature fellowship from the National Endowment of the Arts. He teaches at Claremont McKenna College and in the low-residency MFA at the University of Tampa. Angela Morales, a graduate of the University of Iowa's nonfiction writing program, is the author of The Girls in My Town, a collection of personal essays. Her work has appeared in Best American Essays 2013, Harvard Review, The Southern Review, The Southwest Review, The Los Angeles Review, Arts and Letters, The Baltimore Review, The Pinch, Hobart, River Teeth, Under the Sun, and Puerto del Sol, and The Indianola Review. She is the winner of the River Teeth Book Prize, 2014, and is a MacDowell Fellow. Her book is the 2017 winner of the PEN Diamonstein-Spielvogel Award for the Art of the Essay. A nonfiction writer whose essays have appeared in The New Yorker, The New York Times Magazine, Tricycle, VOGUE, Parabola, and elsewhere, Oxenhandler is the author of three nonfiction books: A Grief Out of Season, The Eros of Parenthood, and The Wishing Year. After teaching in the Graduate Writing program for Sarah Lawrence College in New York, she came to Sonoma State University where she has been teaching Creative Non-fiction for the past fifteen years. 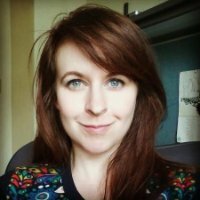 Born and raised in the Pacific Northwest, Ridgeway received her MFA in Creative Writing from the University of Oregon in 2015. She is a teacher and journalist living in Silicon Valley. Recipient of the California Book Award Gold Medal, giovanni singleton’s debut collection Ascension was informed by the music and life of Alice Coltrane. Her writing has also been exhibited in the Smithsonian Institute’s American Jazz Museum, San Francisco’s first Visual Poetry and Performance Festival, and on the building of Yerba Buena Center for the Arts. She is founding editor of nocturnes (re)view of the literary arts, a journal dedicated to experimental work of the African Diaspora and other contested spaces. A collection of her visual work entitled AMERICAN LETTERS: works on paper is forthcoming in 2018 from Canarium Books. She holds the 2017-18 Holloway Lectureship in Poetry at University of California-Berkeley. Domenic Stansberry is an Edgar Award winning author of ten novels. His most recent, The White Devil—recipient of the 2017 Hammett Prize —is a sultry, decadent thriller concerning a young American woman in Rome who finds herself implicated in series of murders dating back to her childhood. Stansberry’s other work includes the North Beach Mystery Series, which received wide praise for its portrayal of the ethnic and political subcultures of San Francisco. Books from that series include The Ancient Rain, named several years after its original publication as one of the best crime novels of the decade by Booklist. He is the editor and founder of Molotov Editions, an independent publishing house. Kathleen Winter is the author of two poetry collections, I will not kick my friends (Elixir Press 2018), winner of the Elixir Poetry Prize, and Nostalgia for the Criminal Past, which received the 2013 Texas Institute of Letters first book award. She was granted fellowships from the Dobie Paisano Ranch; Dora Maar House; James Merrill House; Cill Rialaig Project; and Vermont Studio Center. She won the 2014 Rochelle Ratner Memorial Award and the 2016 Poetry Society of America The Writer/Emily Dickinson Award. Her poems appear or are forthcoming in Tin House, AGNI, The New Statesman, Yale Review, Volt, Poetry London, Cincinnati Review and The New Republic. She teaches at Sonoma State University. 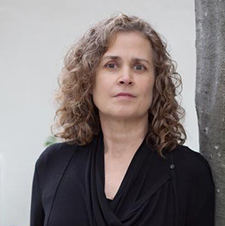 Winner of the Grace Paley Prize in Short Fiction, Corinna Vallianatos is the author of My Escapee, a New York Times Book Review Editor’s Choice. Her stories have appeared in Tin House, A Public Space, McSweeney's, the Kenyon Review, and elsewhere. 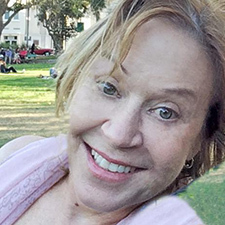 She teaches in the University of Tampa's low-residency MFA program, and lives in Claremont, CA.